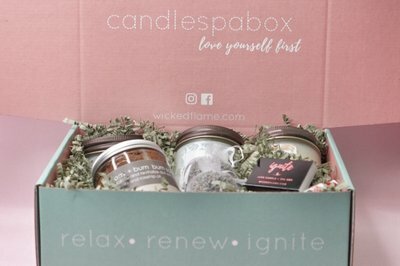 Enter your email address below to receive a notification when Candle + Spa Box by Wicked Flame starts accepting new sign-ups! 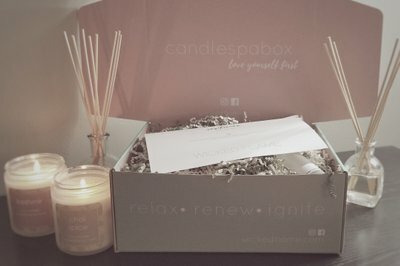 Enter your email address below to receive a notification when Candle + Spa Box by Wicked Flame is accepting new sign-ups again. 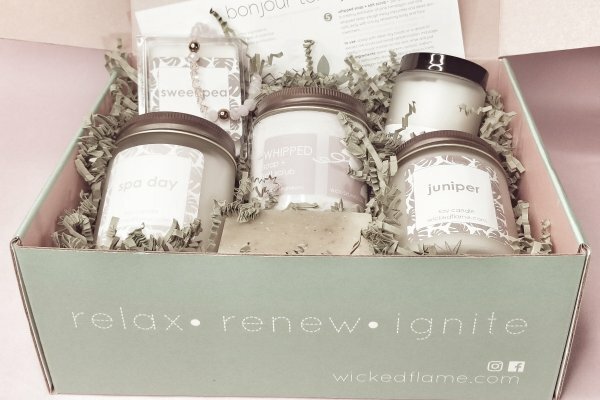 Treat yourself (or a friend) with a luxe candle subscription + spa box by Wicked Flame. This delicious box is full of artisan goodies including candles and handmade vegan bath + body products. 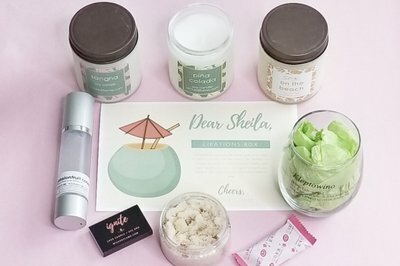 The regular candle + spa box includes at least four items. 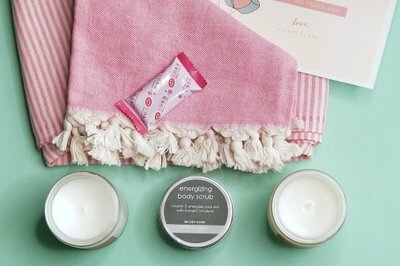 The petite retreat box features one artisan scented candle and one vegan bath & body product. Handmade, small batch, cruelty-free, vegan, organic, and kosher. Products made with love and premium ingredients. Includes soy candles, soap, scrubs, salts, masks, serums, body butter, oils, accessories, and much more! New fragrances & themes introduced monthly along with our Spotify playlist. 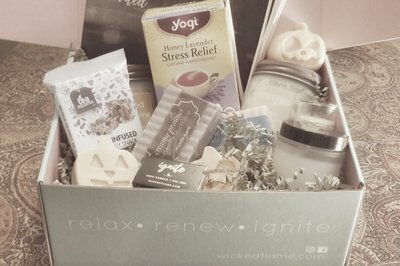 Candle & Spa Box by Wicked Flame has become one of my favorite subscription boxes by far. Love the candles each month, such wonderful scents. High end products and such a treat to look forward to every month, a mix of candles and bath/pampering products. Love it! Everything about this monthly candle subscription exceeded my expectations and it's definitely going to be a keeper 🤗🧡🤗! !